Embellish your eco-friendly-christmas-decor using simplistic "christmas-y materials" like natural-christmas-garlands suited to the holiday season. Not only will your decorations look lovely, but they will be fun to put together, and cost-efficient overall at the same time. The more steps you take towards keeping it simple, the more your carbon footprint will be reduced as well. You can start by resisting the urge to go shopping, at least not yet. It's very difficult I know to not want to buy up the many beautiful decorations that the stores display so well to tempt us. To help get through this, a few of us in my family decided that since we all tire of our decorations eventually, we would buy each-other a little something every year. Just one item. That worked well, and over the last few years, some of us have managed to have a few newer decorations to look at for a change. Still, sometimes we do forget what decorations we actually have stored away, until we get them out and take a good look. TIP - If you have boxes and boxes of christmas nic-nacs, don't display every item you own all at once. Keep your eco-friendly-christmas-decor to a minimum inside and out; change it slightly next year. You won't get bored so fast with what you do have. So, take a look at the christmas decorations you have now. Sort the keepers or family treasures you will never part with, but aren't using, and make sure they are well boxed and put away. Sort next what you probably won't use like ornaments or wreaths, garlands etc. that seem literally worn-out. Maybe they are getting a bit "faded" or slightly shabby looking. Start a box and keep them for little eco-friendly-christmas-decor scenes or focal points outside. Like with Autumn, I have a box that I keep for exactly types of holiday decorations for use in a planter, or an outdoor wreath. They won't last forever being out in the type of winter I get, but they certainly are ok for that purpose until they actually fall apart. I do love to use my outdoor picture frame that I bought at a garage sale. It's great for changing "seasonal themes" and it doesn't take much to come up with something to put in them. I simply used this year an old garland and cut it, some old ornaments and dollar store piks. 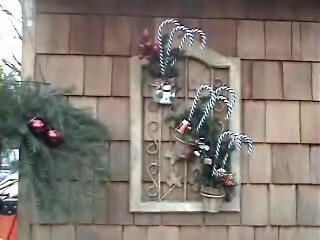 The basket beside it simply holds a few cut pine branches, with 2 wired red christmas ornaments onto it. I also redid a wreath that I bought at a garage sale a number of years ago for three dollars! It's fairly big too. Have I mentioned it enough on this site, that the garage sales are the best times to pick up used holiday decorations? This wreath was pretty beaten up. I took off the old lights that didn't work, chunks of glue, and badly faded and ripped decorations. I wired and hot-glued my own ornaments from a table centerpiece that had fallen apart. I have had this wreath above my fireplace, but this year it is outside. Kind of a nice addition to my own eco-friendly-christmas-decor, because it's VERY MUCH recycled. Do you have too many decorations? So many you don't ever use alot of them at all? You can always sell them in a garage sale, or give them away. Attach a tree ornament or two to a christmas gift. It makes a great decoration, adds to someone else's collection, and it gets a new use somewhere else. Donate what you don't need to classrooms, hospitals, shelters, or wherever the need is greatest. They decorate too, and your gently used eco-friendly-christmas-decor extras will be brand new and fresh to them. 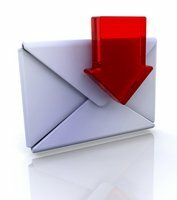 This a great way to easily reduce and recycle what you no longer want to use this year perhaps, or you don't need to keep at all. You can make the transition from Fall decorating to a wintery christmas-theme rather simply by switching the items in any window box displays if you have them, or in large urns, half-barrel planters etc. first with greenery, and other natural materials. Gather up natural berry branches, acorns, pinecones, seed pods and whatever you can use towards your eco-friendly-christmas-decor look. Cedar boughs, pine branches, spruce branches, and tall leafless branches work well for filling large urns and planters. They give depth, height and a nice warm and naturally inviting organic look. If you can get branches with bunches of pinecones, they certainly add a lovely bold effect when spaced throughout. The winter berry branches placed randomly will hold as well. Remember when cutting, be kind to the tree. Cut close to the ground and to the trunk, and don't take everything from just one spot. As soil in planters that are forever outdoors begins to freeze up, it serves to anchor these items well. What helps eventually is a bit of light snow and then some really good cold weather. Gives a nice glowy frosty effect. Boughs that are real or fake are timeless christmas staples for eco-friendly-christmas-decor. It's all about recycling too. Not only are they pretty in the outdoors, boughs placed inside across a mantlepiece, a bookcase, on a bannister, across the top of your kitchen cupboards, on a fence, or where-ever you want to arrange them are beautiful as well. While arranging your branches in large urns at your doorway are nice, do the same inside your home, and do them up with some clear lights and nothing else for a nice warm glow. Make them last longer if you can, using an oasis foam to keep them moist if possible. 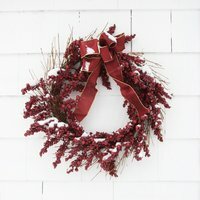 Why not break with the traditional wreath, and make your own eco-friendly-christmas-decor in the form of a door swag? 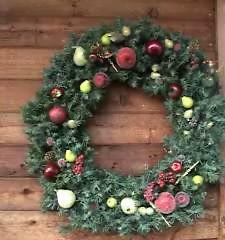 You can still make a "Christmas Ball Wreath" with the extra ornaments you do have, by wiring them onto a grapevine wreath, or a small green store-bought wreath. Try spraying the tips only of boughs, pinecones or both with different shades of color like light blue, purple (eggplant), or whatever you like. Metallics like gold, copper and silver are great for that shimmery sparkly look. Red and green will always be classic and traditional. Coppers, browns and burgundies are fast becoming popular colors to mix as an option too. Christmas ornaments like toys, birds, and dried fruits for example are lovely wired onto the branches to give a bright but bold eco-friendly-christmas-decor feel. This is where you might find things to re-use from the box of assorted items you are now keeping. Large christmas balls in the deep reds and greens look especially nice as always, and stand out well. Glass balls are nice if window boxes and planters are well sheltered from snow, ice and wind. I prefer the hard plastic because at least if they fall out from not being secured well, they won't break into those tiny pieces. Clear lights spaced through-out always add to the beauty of any arrangement. The pinecones you have gathered outside, can be arranged inside too. Place a basket of them on a fireplace hearth or mantlepiece. Pinecones also make great little name-tag holders at a dinner party. You can and should bring eco-friendly-christmas-decor to your dinner table as well. Want To Scent Your Pinecones? Scent throughout the home plays a part in your eco-friendly-christmas-decor planning as well. you can spray them with a mix of oil and water of any of your favorite scents. 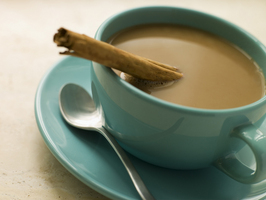 Vanilla would be especially nice at christmas time to add some seasonal smells to your home. After spraying, place them in a sealed bag, and let them sit for a few days. After that, do whatever you like with them. You can place them in bowls throughout the house, or in the baskets with the pine boughs. Use your favorite essential oils for scent instead of sprays and toxic air fresheners by combining 4 parts water in a spray bottle combined with however many drops of oils you want to; you can spritz your natural arrangements frequently. We know to re-use and save any gift-wrapping materials. Ever thought of decorating your gifts with natural items? There are a number of items that can be used to give your gifts that pretty, organic-designer-type" look. This looks especially pretty against white paper. Nuts or dried fruits sealed tightly in a tied clear plastic baggie with a bow. These ideas add originality, earthy colors, and a bit of tradition to your packages under your own tree, not just to the ones you give away. And as for tradition? It was very very common years ago during christmas to give gifts of food. Most times, it was all people hadto give each-other. Fruits are one of the most common items used for eco-friendly-christmas-decor. There is quite a list too that all fit in with Christmas quite well. Cranberries, apples, clementines, pears, dried fruits of all kinds and nuts serve as decorations, as well as centerpieces by themselves in bowls. Cranberries can be strung for tree decorations or used in natural-christmas-garlands. They are a natural alternative to plastic beads, just as popcorn is too. 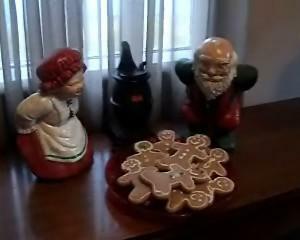 Speaking of food, my daughter made gingerbread cookies one day for something to do. I sprayed them (not sure with what) and of course they aren't edible, but I keep them because it's something she did. They come out every year and are just a neat homemade decoration that I like to look at. You can make your own pomanders for display or hide them if you wish. 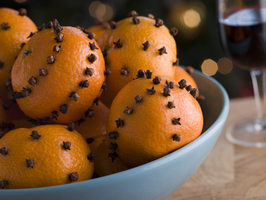 Take a large needle and poke holes into oranges, apples, tangerines or even lemons and attach cloves into the holes. 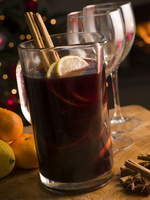 Place them on a decorative christmas tray or dish filled with cloves and cinnamon, for a lovely aroma thoughout the room. The fruits can be rotated from time to time as they dry out. 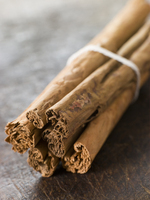 Cinnamon sticks tied with a bow or a piece of raffia can be used as a great scent source as well, and placed just about anywhere. Don't forget, they add a great taste to your hot and cold drinks as well as just decorate them nicely too for visual appeal. What would Christmas be without a poinsettia? There are so many different kinds to choose from, and I know you can spend a fortune on them depending on size and store you buy them from. I usually get one from the food stores in the plant section, and the price is usually right. I don't do this all the time, in fact what I use right now, are "fake" poinsettia that I bought on sale after Christmas in a Zellers store I believe. Certainly I would prefer a real one, but these look lovely and so real. There isn't a thing wrong with them, and so re-using them as long as I can is fine with me. A christmas cactus is quite nice, though I don't seem to have the luck some people do. Must be the location I put them in. I think they require more heat than I give it. Again, they are relatively inexpensive, and come in so many different colors like red, purple, pink and salmon colored are the ones I have seen. The red amaryllis is popular with people at this time of year too, and they are quite gorgeous. There are so many things you can do with what you already have. Trouble is, some people don't realize it, and reducing carbon footprints just aren't an issue for many. And of course, tastes in decorating vary from person to person. Do you have a favorite way of using an eco-friendly-christmas-decor style during the holidays? There are so many great ideas to be shared I'm sure. Visit Eco Friendly Celebration and we will be happy to post your ideas and photos. Whether carbon footprints are an issue or not, there is just something special about the eco-friendly-christmas-decor that is at our fingertips. The fact that how it is used, and how it can be recycled in a number of ways, is just an added plus to how it visually contributes to the natural scenery of the christmas season.